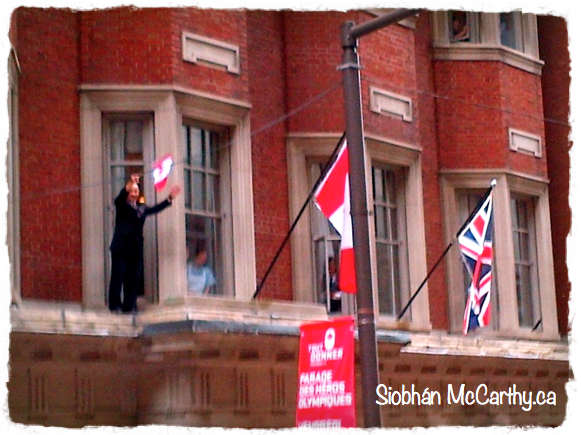 I was in the Canadian Olympic Heroes Parade! 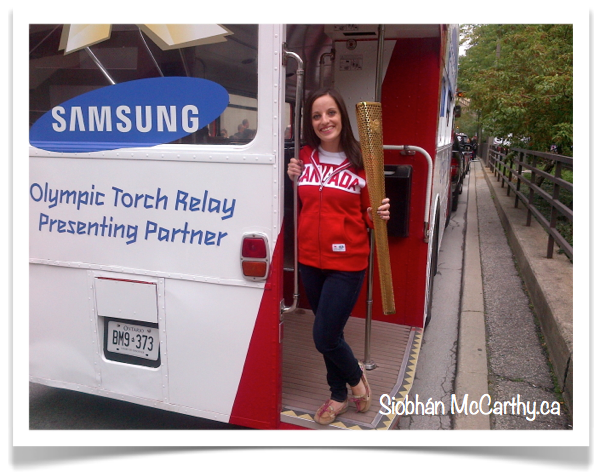 I got a special invitation to ride with the worldwide sponsor of the London 2012 Olympics, Samsung on their double decker bus with the Olympic torches (you may have seen all my tweets from Friday) and jumped at the opportunity! I don’t know how he stayed balanced like that while waving his flag around but I want him to teach me his ways! The parade route ended with an energetic crowd at a stage where the athletes were featured along with a concert. It was such an incredible day filled with marching bands, Canadian pride, and of course, the London guards. 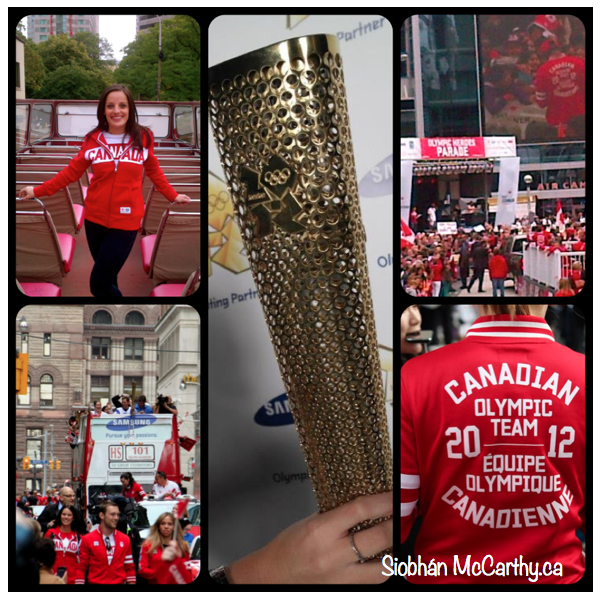 Yours truly was captured in the Samsung Canada Facebook album for the Canadian Olympic Heroes Parade. How’d that happen? Is it Rio 2016 yet?! I just can’t wait for the next summer Olympics! Did you make it out to the Olympic Heroes Parade? Do you prefer the Summer or Winter Olympics?